All fireplace mantels need proper cleaning care and maintenance in order to reduce stains and discolorations. You can use cleaning products you already have at home or you may purchase specially made products available at your local provider of stone fireplace mantels in Orange County, such as SoCal Fireplace Mantels. Regular dusting can prevent build up that darkens and discolors the mantel. Use a dust-attracting duster to avoid shoving dust into the grain or detail work. You may also use plain water on a clean white cloth. Heavier dirt can be cleaned with 1 part of gentle cleaner mixed with 3 parts of water and a soft-bristled brush. Be sure to rinse thoroughly with water and a soft cloth. Do not over-soak the mantel. Do not use strong cleaners that are too acidic or too alkaline, as these can seep into the grain and eat away at the stone, causing damage to your fireplace mantel. Stains can be removed by gently rubbing with a cleaning eraser according to package directions. If this does not work, make a baking soda and water paste and gently rub it into the stain. Allow to remain overnight and rinse with a damp cloth. 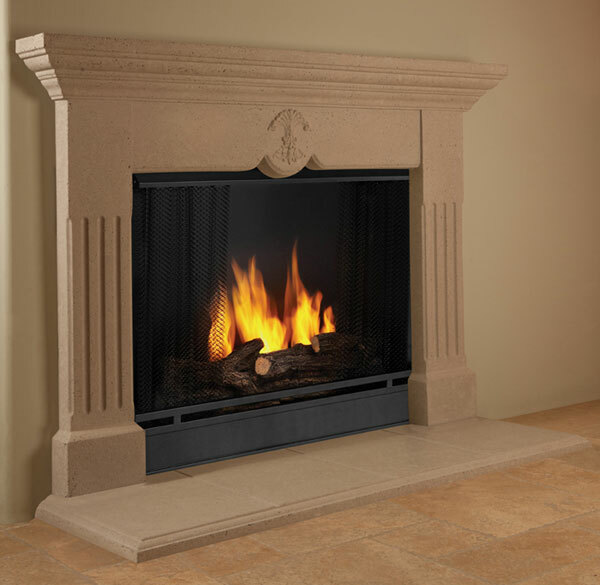 SoCal Fireplace Mantels, provider of fireplace surrounds in Orange County, offers a large selection of fireplace mantels and surrounds to meet your needs. You may speak with one of the experienced professionals if you have questions about keeping your mantel clean and in good condition.